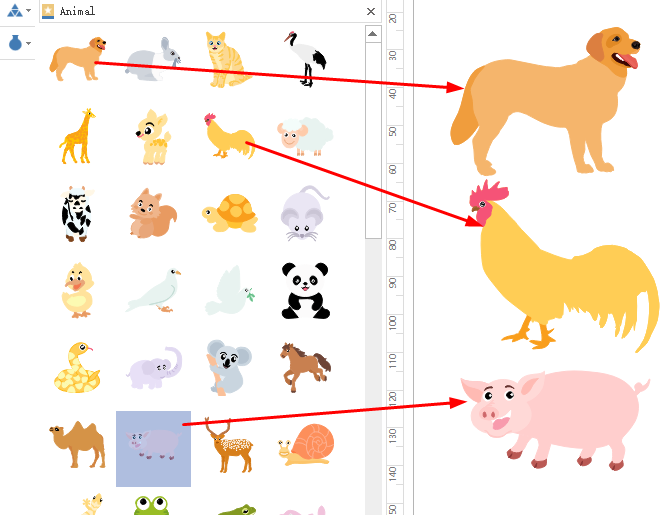 A simple guide on how to design animal infographics within several minutes will be introduced in the article. 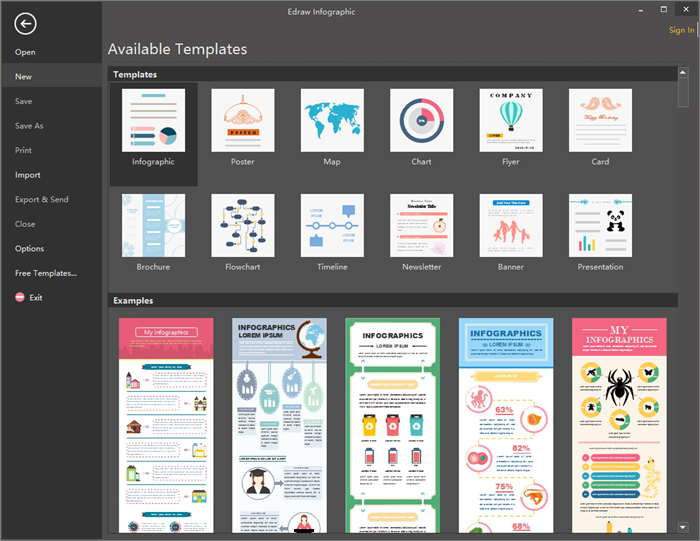 Edraw infographic software is a powerful and professional animal infographic maker which provides a large quantity of infographic elements and hundreds of templates for users to drag-and-drop. With Edraw infographic, even a newbie without any drawing skills can also create beautiful animal infographics. Following is a step-by-step drawing guide. Launch Edraw infographic software, go to File menu, click New>Infographic to open a blank animal infographics drawing page. Navigate to left libraries, drag proper animal symbols and drop on the drawing page. All the symbols are customizable, users can easily edit the dimensions, colors, directions, group/ungroup the symbols to meet the requirement of different situations. And Edraw provides a set of drawing tools for users to create their own symbols if there they are not satisfied with the built-in ones. After dragging animal symbols, go to Home Page and click Text or press Ctrl+2 to add key points, then click any blank area or click Select to finish typing. 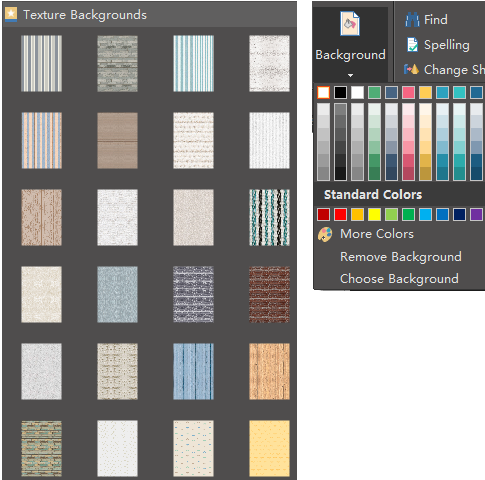 Users can click Background on the Home page to select a single color background or choose texture background from the left libraries. 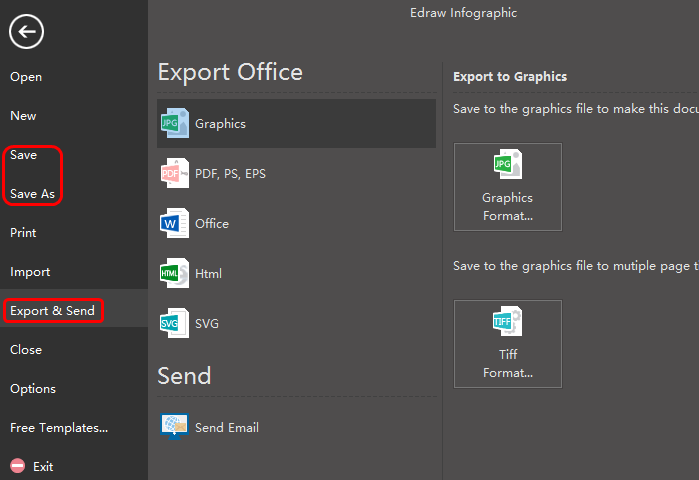 Users can click Save on File tab to save the animal infographics as the default .eddx format; for sharing conveniently, users can also select Export & Send under File menu to export the infographics to any formats that convenient to share, such as Word, PPT, PDF, images or even Visio is supported.